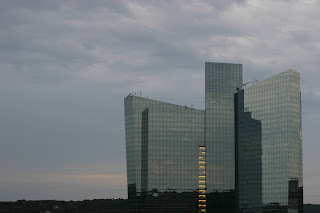 Mystic, population around 4000, is a small town in New London County, Connecticut. 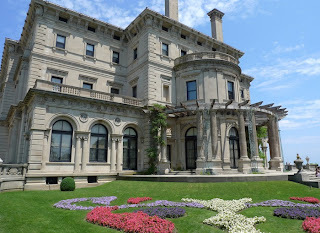 Historically, it is a leading seaport of the area, and boasts America's leading maritime museum, which is a must-visit for visitors to Mystic. The Mystic Seaport, the 'Museum of America and the Sea,' is a big attraction for those who visit the area. It tells the story of the country's maritime history. 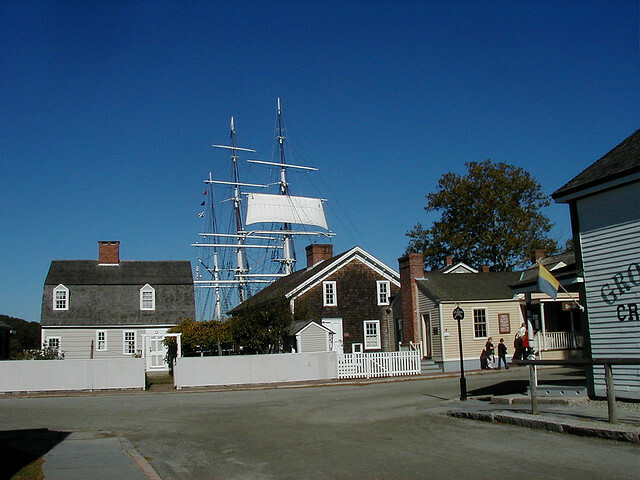 There is a re-created 19th century village, tall ships, a shipyard and many other exhibits to tell you all you need to know and more about shipping in the US. There is also Olde Mistick Village to take you back in time, a quaint village with shops, restaurants and a visitor's centre. At the other end of the entertainment spectrum, another big draw is the major casinos in the area- Foxwoods and Mohegan Sun are huge centres which offer fine dining and musical and stage shows by international headliners. For those on the road, Strawberry Park Campground is conveniently placed for the Seaport and casinos- and is an award-winning campground and RV Park. 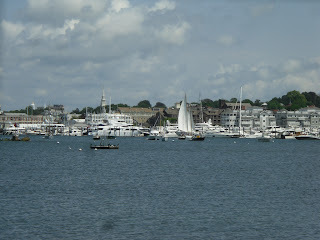 If you are looking go to Mystic, it is about 2 hours drive from popular RV Rental hub in Boston. Ahipara is a small town near the northernmost point of New Zealand's North Island, with a population of not much over 1,000. Fishing is often at the top of the agenda for Ahipara visitors and locals, and you can go on a fishing charter to enjoy some of the best fishing spots in the country. Every year in February, the world's biggest snapper surf fishing contest is held at 90 mile beach which is just above Ahipara, so if you like snapper- get a camper and get up there! 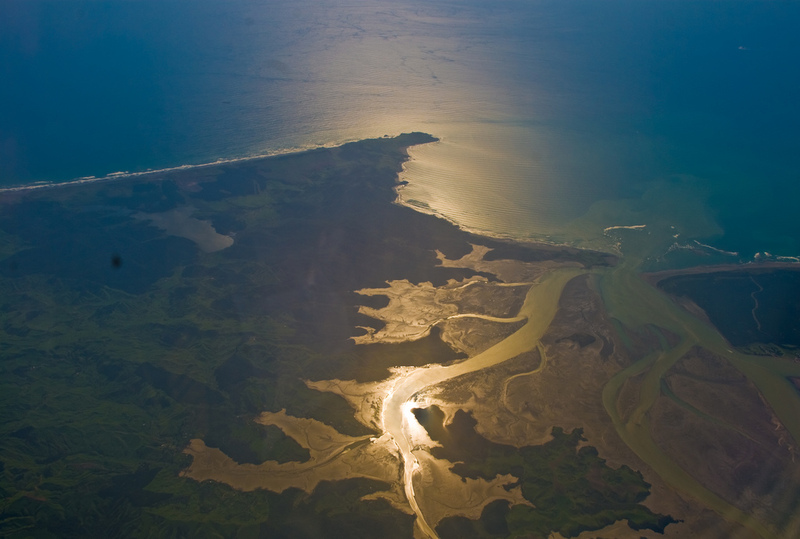 Kaitaia Golf Course is also located in Ahipara, and offers stunning views over 90 mile beach. Shipwreck bay just outside of the town is a popular surf spot, as is the beach directly in front of the town- you can even take lessons at Ahipara Surf School! 90 Mile Beach is a draw for tourists, and Ahipara is located very handy to it, at the southern end. This makes it a handy base for anyone wishing to explore the Far North. Ahipara Holiday Park offers powered sites from NZ$32-40 for 2 people, depending on the time of year. 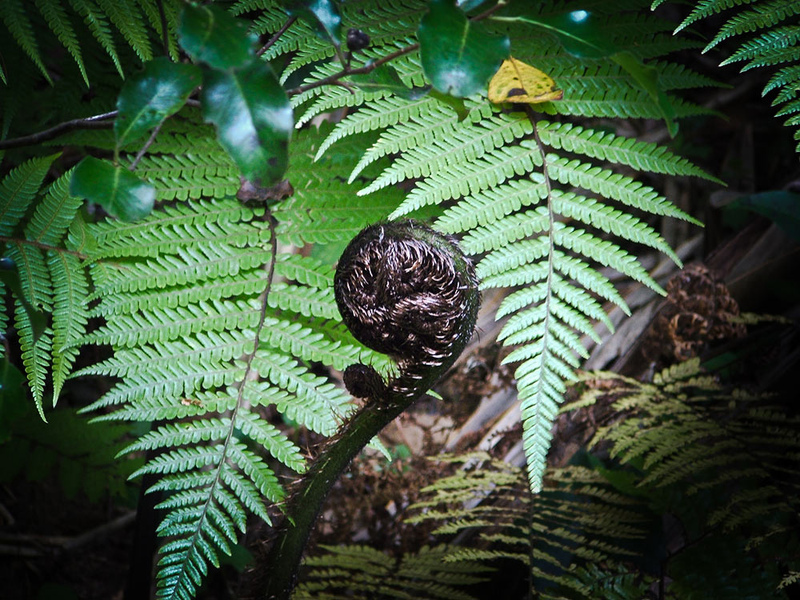 To get there, click here for New Zealand campervan hire! 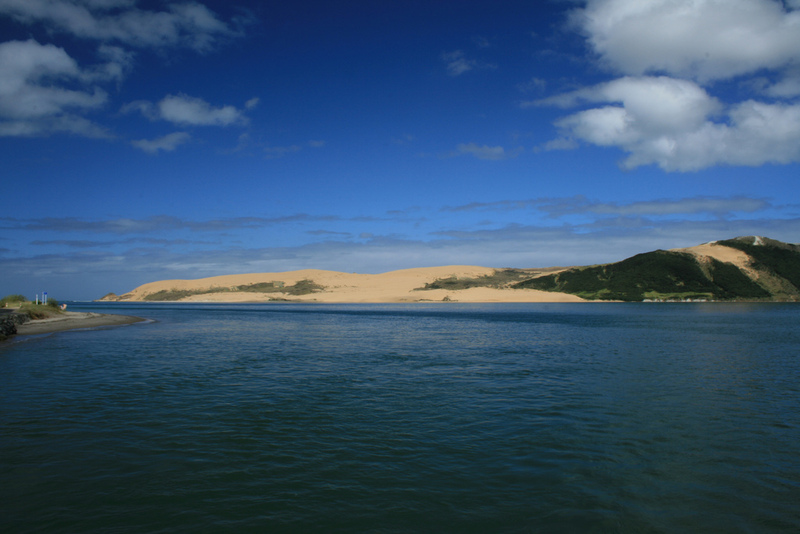 Opononi, a small settlement on the edge of the Hokianga Harbour, is known for two things- sand dunes and a very special dolphin. 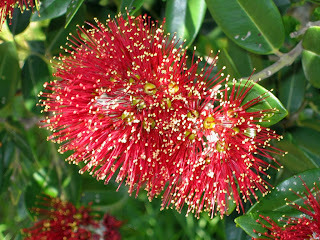 To get there, take State Highway 12 off State Highway 1 at the Brynderwyns heading north from Auckland. 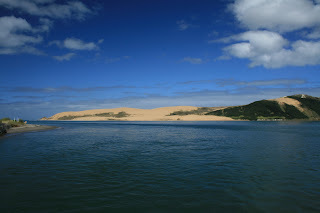 The sand dunes across the harbour dominate the view when you are on the water's edge at Opononi- they are on the North Head of the harbour. Many people take a water taxi or charter boat across the harbour to explore these mountains of sand, and slide down them a few times. Beware the walk back up! Opo is a town legend in Opononi. 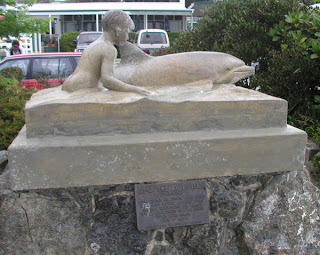 A friendly dolphin, he spent the summer of 1955-56, enchanting locals and those who came to visit. An orphan, she began following fishing boats in early 1955. She was not shy like most wild animals and would play with balls and allow children to swim alongside her and touch her. Many came to see Opo, and she was officially protected by law on the 8th of March 1956- sadly, she was found dead the next day. It is suspected that she was inadvertently killed by fishermen using gelignite. Opo was buried with full Maori honours next to the town hall. 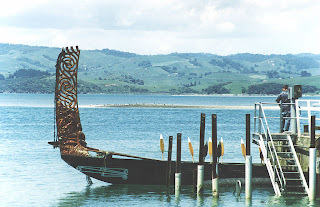 Opononi Beach Holiday Park is located on State Highway 12 and is a popular place to stay. 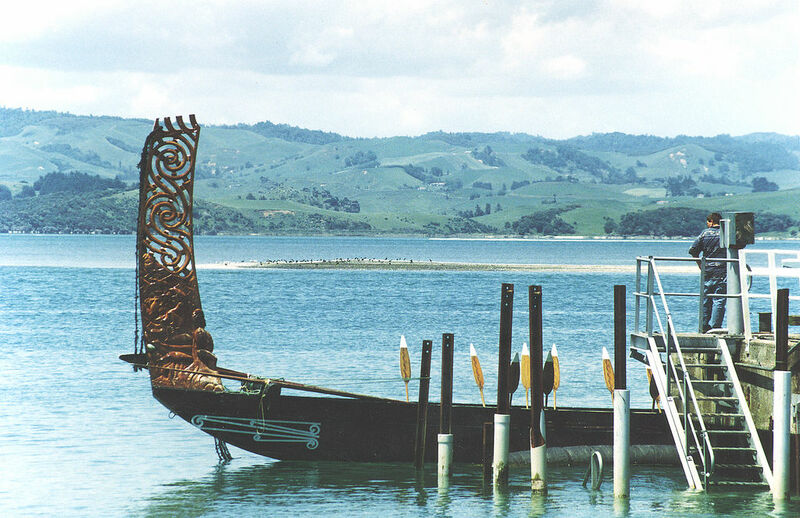 The towns of Whirinaki and Omapere are nearby with guest house and lodge accomodations. For Campervan hire in New Zealand, see here! 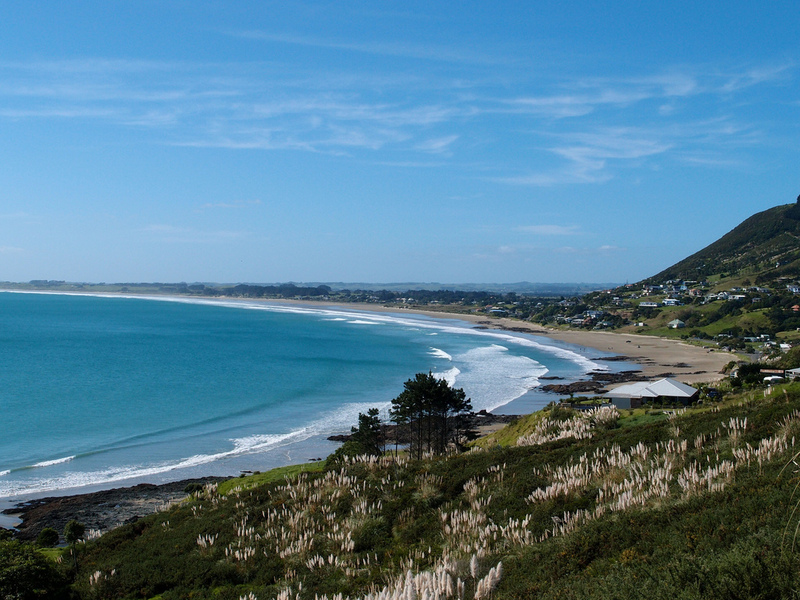 As with many places in New Zealand, the best part of Coopers Beach is... the beach! Shaded by pohutakawa trees and protected by the worst of the Pacific ocean by its position tucked up inside the large Doubtless Bay, it is a pretty beach and safe for the family. The town has the necessities- a 4-Square, Liquor mart, butchery, hardware store, medical centre and a few other shops, plus a bowling club with other small towns not far away. Mangonui- This village on Mangonui Harbour has, by reputation, New Zealand's best fish and chip shop. 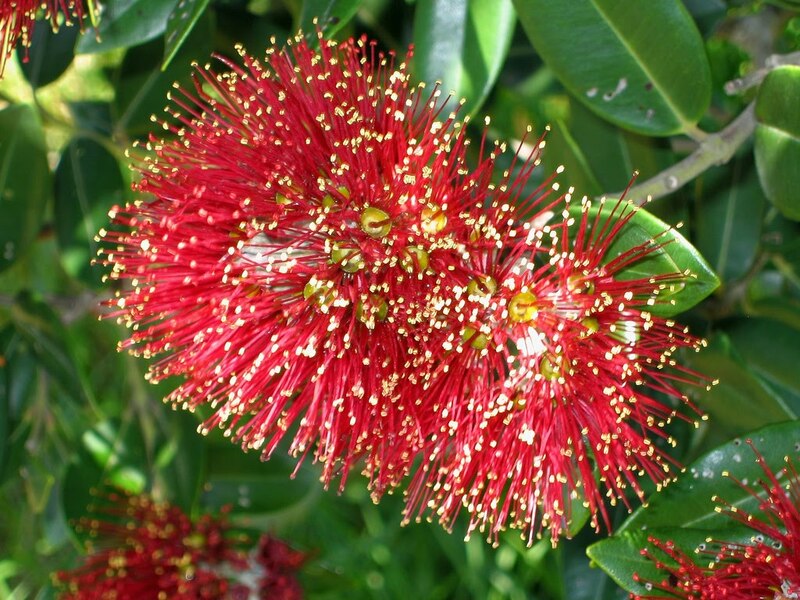 If you are a New Zealander, you will know that this is NOT a feat to be sneered at. Try them! Also a great spot to fish off the wharf, and watch rugby at the pub. Cable Bay- a very picturesque town a few kilometres from Coopers Beach, Cable Bay can be recognised by the dairy with the big icecream cone on top, plus the Croquet Club. 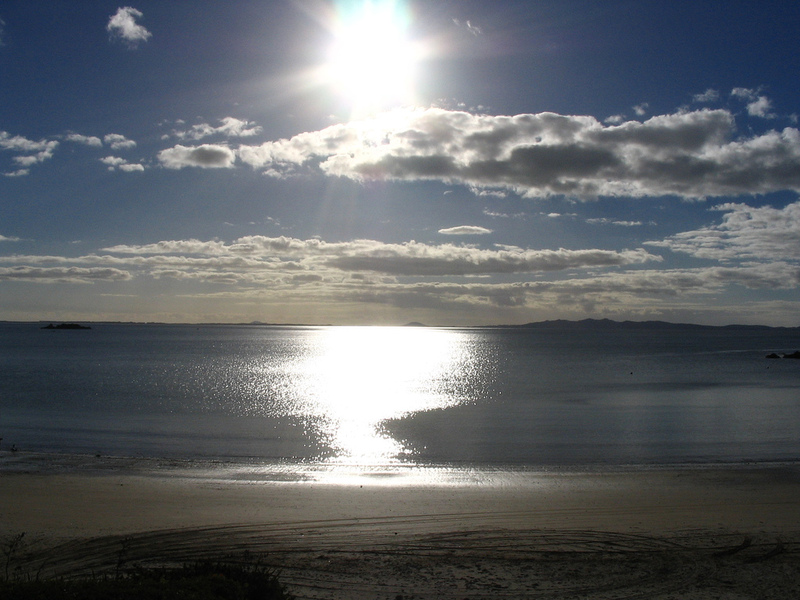 Tokerau Beach- this beach stretches for 18 kilometres and is perfect for those long walks on the beach. Diggin for shellfish is a popular and rewarding passtime at Tokerau! Karikari Peninsula- Always worth a visit is Karikari Estate, a winery. Tastings are available, and sitting outside tasting wine and sampling the cafe's delicacies is an incredible way to spend an afternoon- the views from the Estate are stunning. Whatuwhiwhi Top Ten Holiday Park is located on the Karikari Peninsula, and is a top quality Holiday Park with tent and campervan sites and cabins. 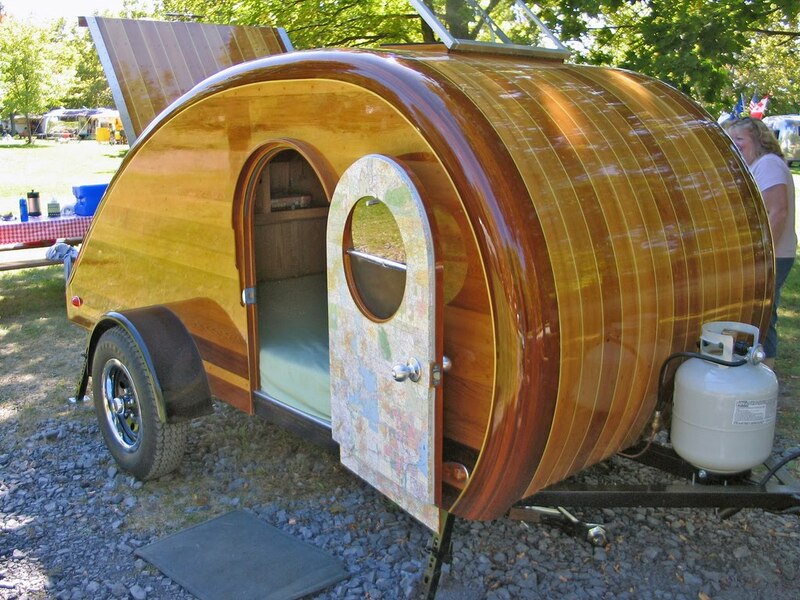 A note: Free Camping (outside of designated campsites) is a hot topic in New Zealand at the moment, but in a self-contained camper it is still legal in many areas, as long as you leave no rubbish or waste behind and are respectful of locals and the environment. 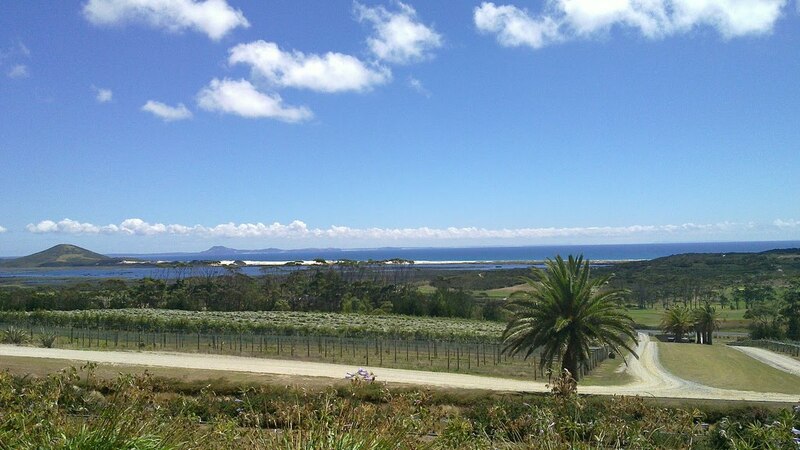 The Doubtless Bay area, in fact all of Northland, is a campervanner's dream. To find the best deals on campervan hire, click here. Cape Cod, the fishhook shaped cape curling out into the sea off Massachussets just below Canada, is in fact an island, and has been since Cape Cod Canal was cut in 1916. 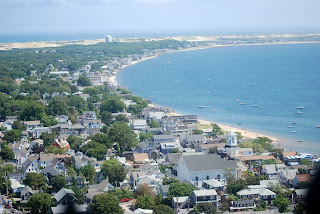 Provincetown at the tip of the Cape is where pilgrims first landed in the New World, before shifting to Plymouth. The Cape is a favourite holiday destination on the East Coast, and the reasons are many- one is the fresh seafood which is understandably a big draw for the foodies! It is blessed by geography, as it's shape curling out into the ocean gives quantity and a variety of beaches, from sheltered coves ocean-facing surf beaches. 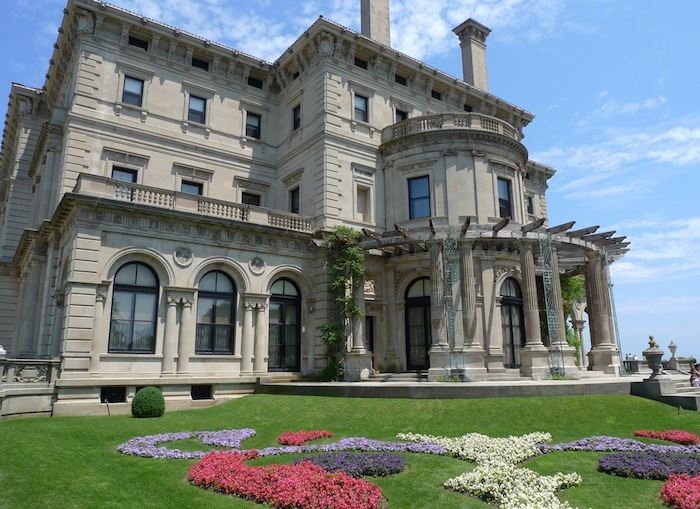 Known for New England beauty, the Cape is popular for outdoor pursuits and visitors enjoy the quaintness and dignity of its quintessential New England towns. This is the most lively resort town, so get there if you would like a bit of company and excitement. 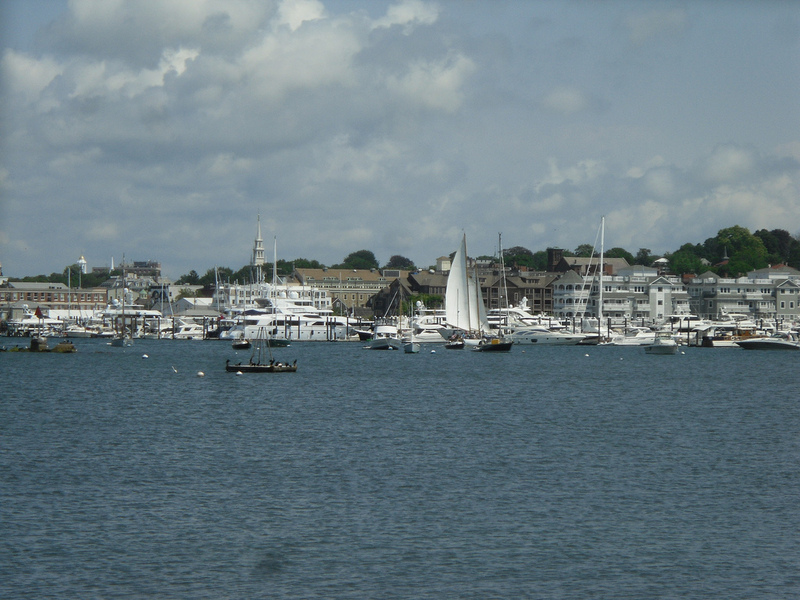 Painters, writers and of course fisherman have made it their home- and so has the gay community of New England! During the summer, its population increses tenfold- so if you are planning on going there during the high season which is expanding to include late spring and early fall, definitely book an RV site in advance- google will produce you a list of these. 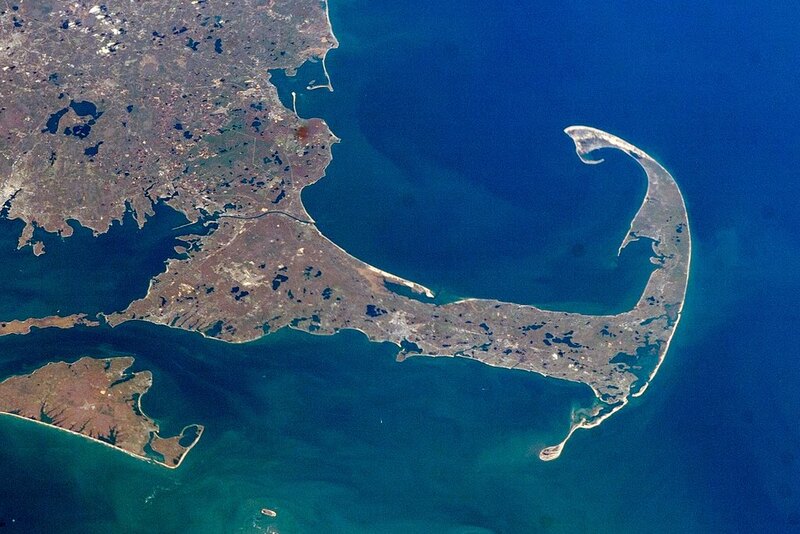 You could visit the spot where pilgrims first arrived on the continent, and learn more at the Provincetown museum. Whalewatching is another favourite. Seafood restaurants are scattered all over the Cape, and with fresh fish and lobster coming in everyday, how could you resist trying one.. or two, or three! Here is a list of seafood restaurants to contemplate. 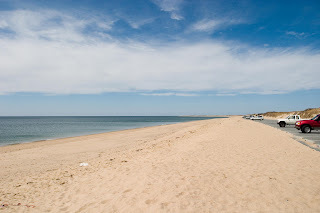 While a somewhat arbitrary choice, as there are many stunning beaches on the coastal side of the Cape, this one has been named in the USA's top ten beaches. It has amenities such as changing rooms and bathrooms, as well as plentiful lifeguards! During the summer, parking is not available at the beach- parking is in a lot off Nauset road for a fee, and a shuttle transports you to the beach. With soft sand, waves and facilities, it is a popular spot. Less popular, and as such often less crowded beaches along that beautiful coast also include Marconi Beach and Cahoon Hollow. The Cape has many of these, and it is a great way to get a bit of exercise and fresh air away from the towns and beaches, as well as enjoy the beauty of the area. 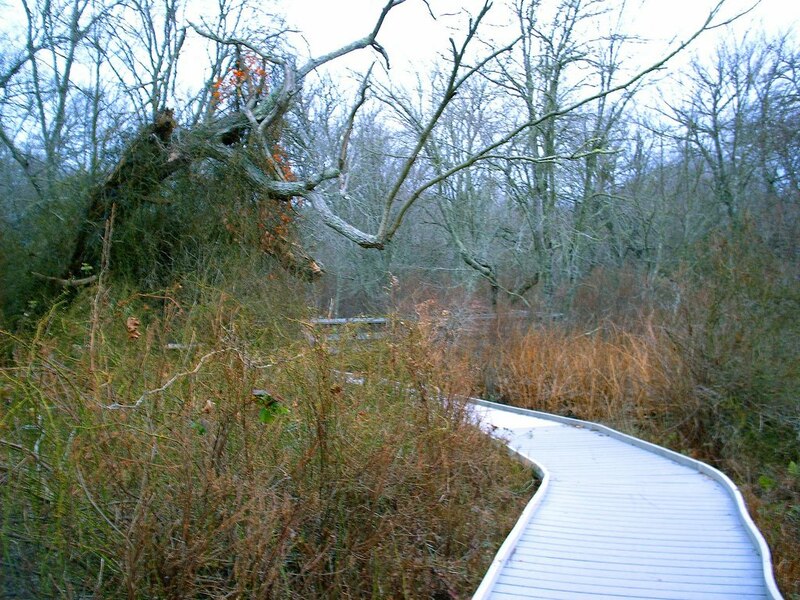 Beech Forest trail in Provincetown is a popular one, but take your pick- the short scenic ramble of Eagle Point in Brewster, or see how glaciers have affected the landscape by walking the Small's Swamp trail in Truro. Here is a helpful list of trails on the Cape and surrounding area. That's just a quick pick. 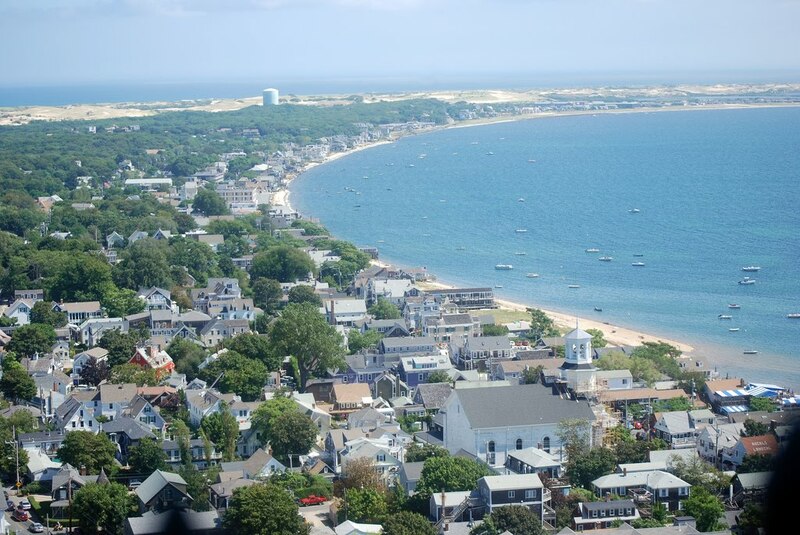 There are numerous other beaches, towns, historical points of interests and activities to be seen and done on Cape Cod- Start your Cape Cod trip with Boston RV Rental. Motorhomes and camper vans come in many shapes and sizes, and the line between a vehicle for getting from A to B and a vehicle for getting from A to B and sleeping there can be a fine one. What makes a van a camper van? According to Toyota Reviews, they can be loosely classed into groups according to their functionality (note these are terms used in the USA! Campervans elsewhere can refer to a much wider range of motorhomes). A cargo van is just a van with nothing in it- not even seats. 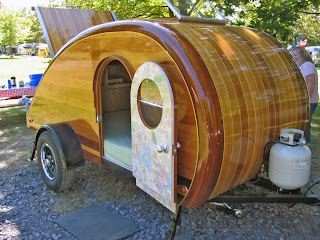 It is used to transport cargo- but can also be the basis for your own little mobile home sweet home. 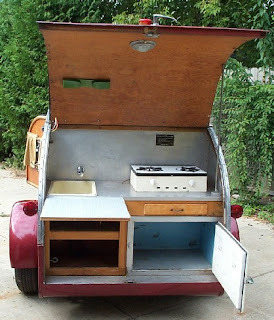 A Camper Van is converted to be useful for camping- mattresses, maybe even a kitchenette. Typically a home job. A Class B Motorhome is a fully fledged and kitted out motorhome that has been built into a cargo van chassis. To be included in this category, it must be equipped for the needs of basic living- eating, sleeping, and toileting. This includes grey and fresh water holding tanks. So there are many degrees of kitting out that the humble cargo van can take. You could put some mattresses in the back and call it a camper van, or have it fitted out completely into a Class B Motorhome. Mini Class C Motorhomes are genuine motorhomes that can be mistaken for Campervans or Class Bs due to their compact design, making them look similiar to a cargo van. To rent any type of motorhome in the USA, click here! New Zealand campervan company Escape Rentals has expanded right across the pacific to open a branch in California. After 2 years, 100 of their graffiti/art/colour- covered vans are on American highways, and the company is expecting that number to grow. Andrew McGregor, one of the company's founders who is heading up the San Francisco division, told voxy.co.nz that as they are a company that rents to tourists, San Franciscans are not the target market- and a good thing too, as their idea of a motorhome is very different to that of a New Zealander! The land of huge winnebagos is a bit taken aback by Escape's small, simple and bright vans which are made for exploring the roads less traveled and tripping on a budget. However, some in the US do love them, and the vans are proving popular amongst the same tourist market that they are aimed at in New Zealand- backpackers from Germany, the Netherlands, Switzerland, the UK and other parts of Europe who like to get more for their money and a bit of adventure thrown in. For Escape and other Motorhome rentals in the USA, click here!